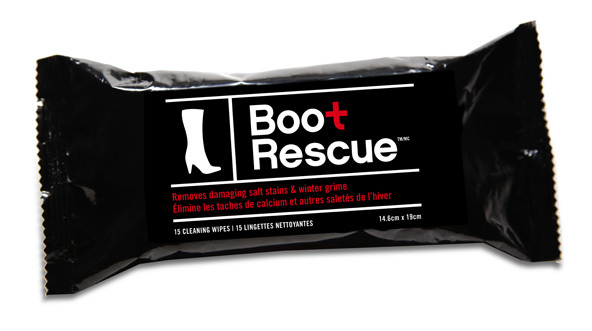 BootRescue Wipes - 15 wipes - $6.99 - all-natural cleansing cloths that wipe away stains with one easy swipe. Even better they come in a box of 10 individual wipes - $7.49 - making them super portable so you can keep one in your purse from away-from-home cleansing situations! Available at Nine West, Holt Renfrew, Stuart Weitzman, Sproting Life, Capezio, Target and online at www.bootrescue.ca. What, what? This sounds brilliant!! It's the first time I've heard of boots wipes!!! This made my day - definitely need to pick these up! ladies! white vinegar + warm water = works like a charm :) tested on all leather boots! I will be trying this out tonight, thanks for the tip!